Learning to paint and draw in a studio alongside an artist is hard to beat. You get answers to questions right away, you're supported and encouraged and most of all, you get what you came for - improved abilities. Lots of people have stick-man-itis, a condition where drawing a good stickman is difficult. It’s a remark I hear often and it’s not surprising since most people are taught to read, write and do math; but real drawing or painting skills are not taught in school. 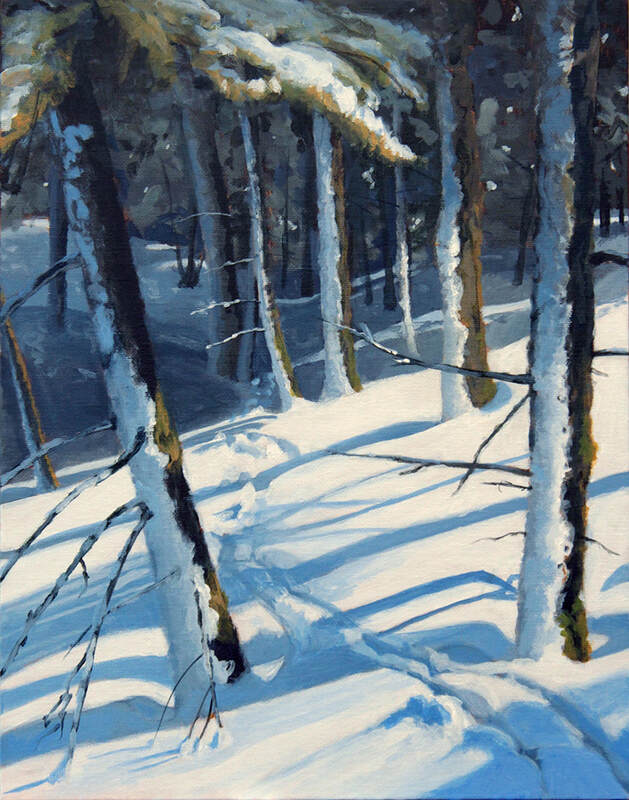 What’s unfortunate is that natural artists are perceived to have some magical gift that is not learnable by the rest. But it is learnable with some desire and interest thrown in for good measure! Many of us have the ability to convey information with a few lines in the sand. The part of the human brain that drives a car is the same part that draws and paints and imagines. It's just waiting to be coached, nurtured and awakened, so instead of thinking you can't draw, or can't draw well, take a moment to realize its just a lack of education and practice. Practicing art skills is full of amazing discoveries. It draws you close to the beauty in nature or the flowing form of a vase, how light describes architecture through volume and texture, the soft shapes of a child's face. It builds relationships with people and things you feel close to by deepening and enriching those connections. Making art presents new ways of seeing and develops skills for the hands as they explore in concert with the eye. Making art opens new thought as well. Ideas begin to flow. Making art describes dimensions on flat surfaces to make them appear perfectly realized whether they are imaginary or real. Making art leads to choices about what to leave in and what to leave out and through this we grow a personal sense of balance. Making art develops distinctive, unique and identifiable style that happens without premeditation and constantly changes with growth. Like your signature, the marks you make are original in response to what you see, how you feel in the moment, and the history of your life experience. Your personality pours out of pencils, brushes, chalks and so on. Making art can cause frustration and confusion and both of these precede breakthroughs. Breakthroughs feel good! 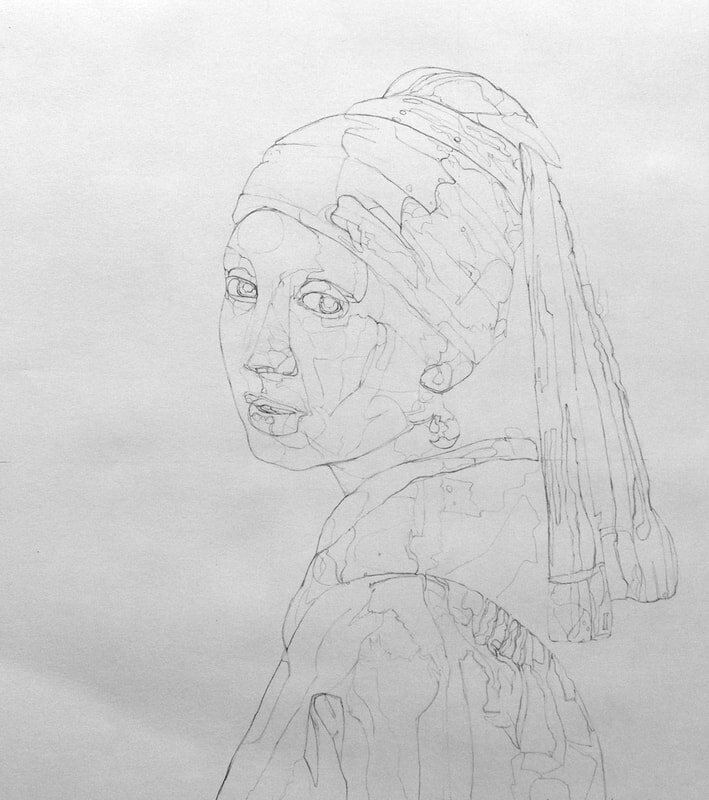 Above: Prep drawing for Girl with the Pearl Earring (Vermeer). The materials used to make art dance with science, harnessing the properties of light and the chemistry of paints to interact with mediums and the surfaces upon which they are applied. Mixing pigments to see what happens when colours are layered over colours teaches through experimentation. Making art is trial and error. A good teacher steers you away from painting yourself into a corner. Making mistakes happens of course! and when appreciated they are the greatest teachers. Appreciation for them is also an art! Making art gives the brain a rest from everyday life. It lifts us out of the pressurized left-brain hemisphere into the right brain hemisphere where imagination, creativity, and daydreaming take place. The spatial function of the right brain is used when we drive a vehicle. The right brain also sets us free resulting in the wonder of where the time went. 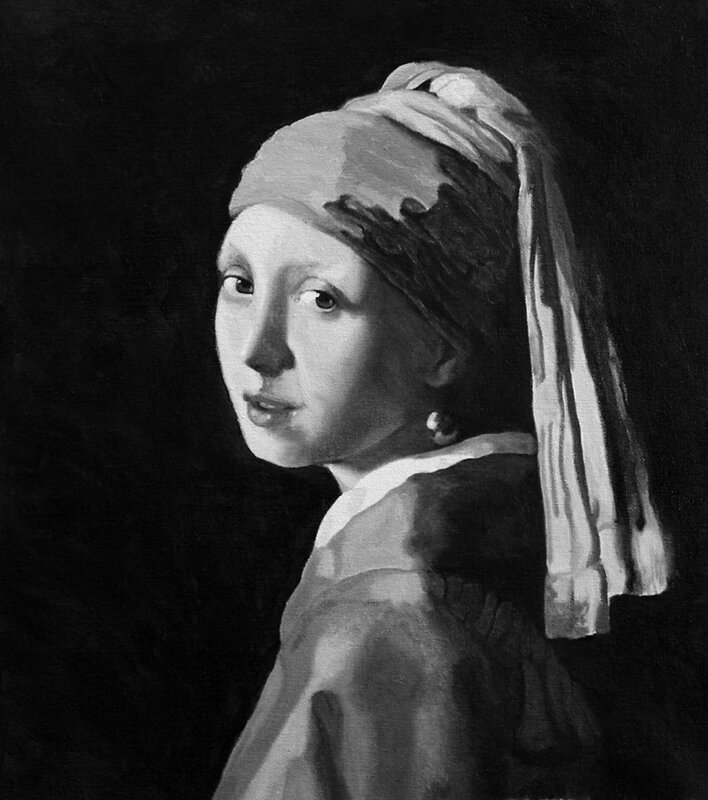 Above: Grisaille (grey) underpainting for Girl with the Pearl Earring (Vermeer) in the Classic Method of the Renaissance. ​​Making art is therapeutic. It presents openings to release joyful and painful thoughts and hidden feelings or memories that can hold us back. Sometimes it connects us with emotions and heals old wounds. It can build confidence and direction in your creativity and can also be as uncomplicated as a pleasurable way to spend an afternoon. ​Making art is not for the “instant gratification” crowd because developing skills is steady growth through steady practice and many rewards take place over time. Making art is exciting when a technique is first learned, applied then used successfully, or when a breakthrough such as seeing-like-an-artist occurs, or when a common object takes on meaning purely because of it’s form and colour. Making art teaches simplification and complication – two aspects of the same thing. How far you go in either direction is up to you. 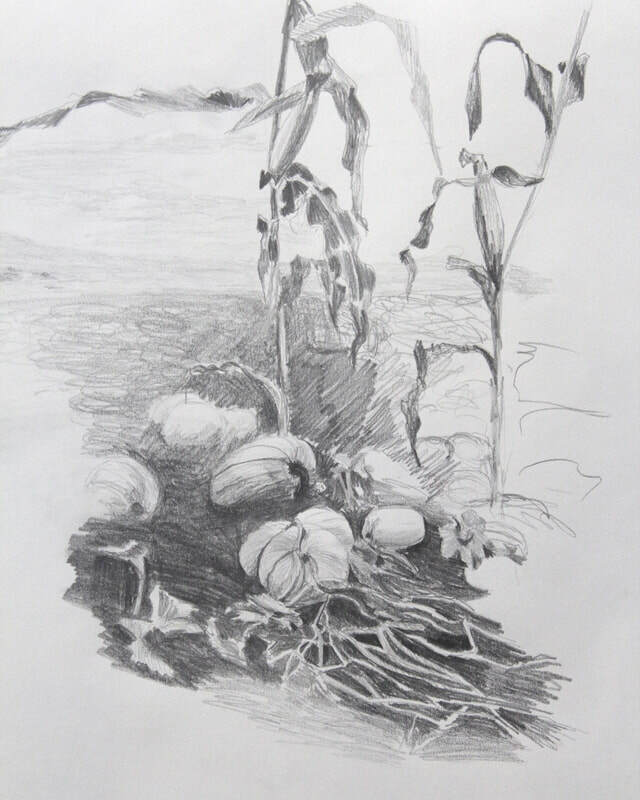 Drawing and painting classes are fun and open up a world of imagination, connection and accomplishment. Inquire or arrange day and time that works for you! If you want to develop an ability to paint real things, places, and people, it's impossible to do so without a foundation of drawing skills. Why? Because when the shapes are wrong, no amount of paint or frustration will make it right. Lots of people run before they can walk in art training, meaning they learn how to paint, but the result doesn't look quite right because proportions are out, or the structure of a tree is flat, a hand isn't formed properly, a shed doesn't nest into the ground, and a boat doesn't float, and so on. When the objects are not understood in parts and structure, the result is wonky. That is why learning to draw will set you on a good path, even if you're already a good painter. ​With these skills you can draw anything in front of your eyes and also from your imagination, you will be able to draw even what is considered the hardest things to draw - recognizable faces, hands and feet! 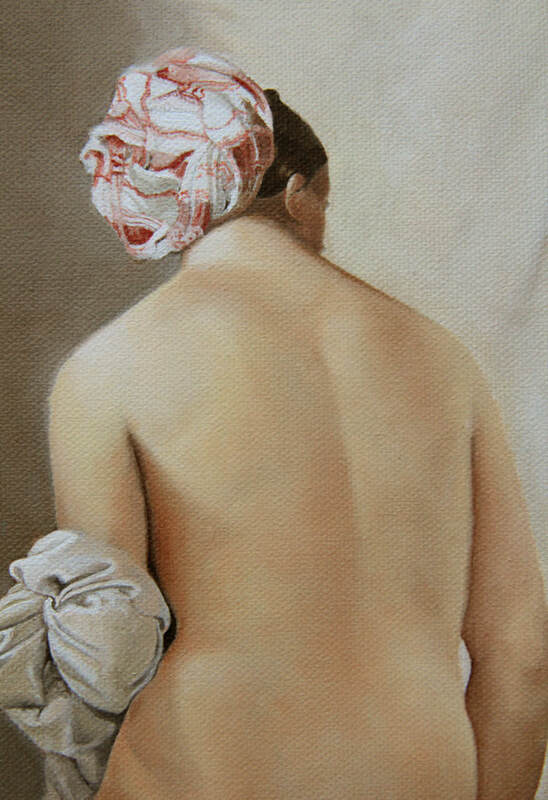 Have you studied art at the postsecondary level and still can't draw to your satisfaction? 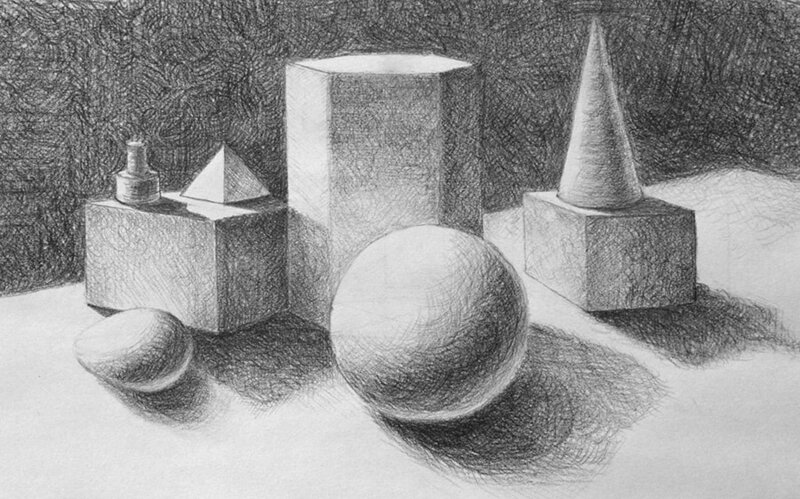 By upgrading your drawing skills you can proceed with your career with confidence toward goals in the arts field. ​You want to paint - great! If you're painting on your own and making mud or settle with jarring colour combinations and find that what started out as a great idea isn't turning out the way you hoped, then some new skills added to your art kit will help get your paintings going in the direction you want. Don't become discouraged and give up, get some help. • colour theory - this is more fascinating than it sounds! Grisaille - the classic Renaissance method using grey tones layered over with glazes of colour used by Leonardo da Vinci and other master painters in the 1500's. 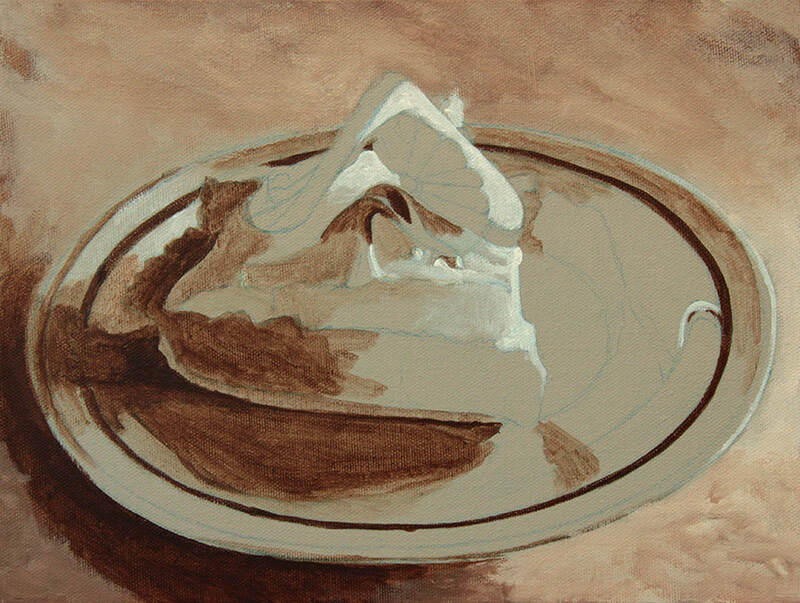 ​Paintings begin with simple single objects and as these become understood we move into more complex shapes and then compositions. 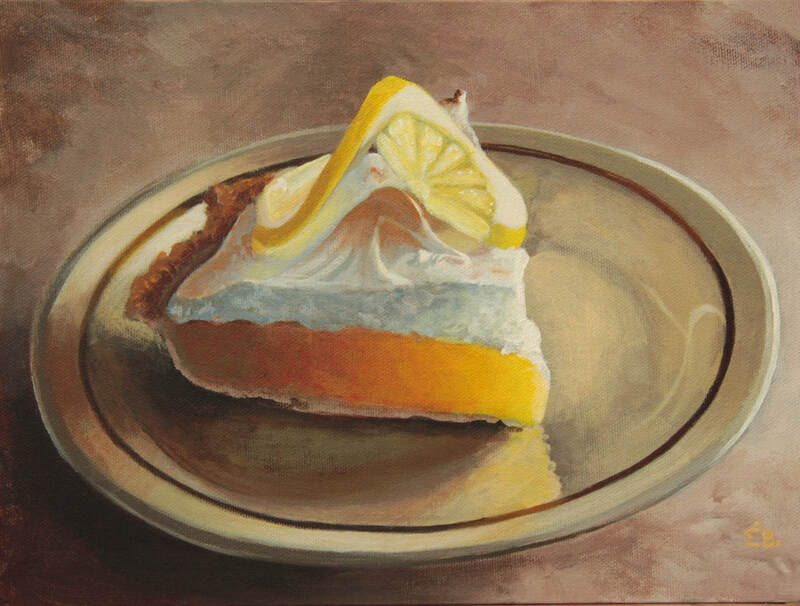 A successful composition occurs when objects, shapes and colours are arranged in such a way that they lead you into and through a painting to a focal point. A message or feeling is grasped in harmony with the elements. 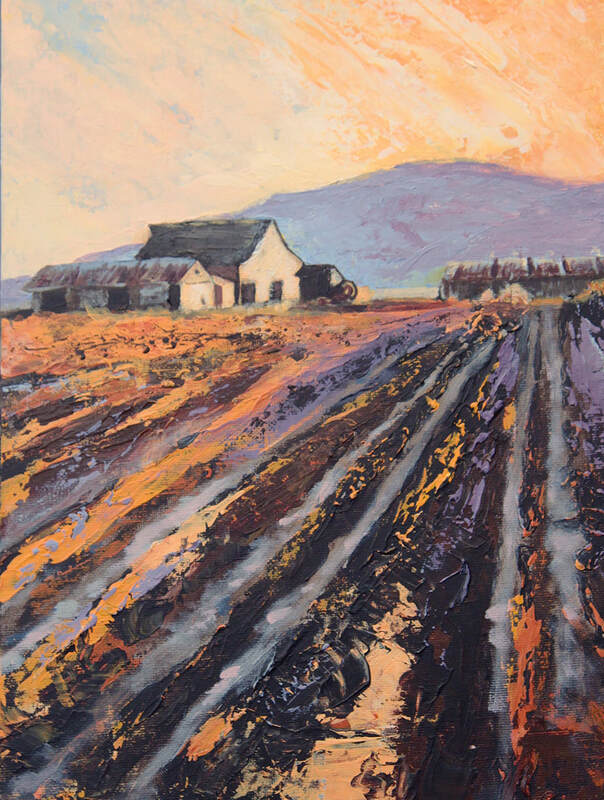 Above: Strong lead-in lines direct the eye to the barns then the line of the hill leads to the sky and the colour in the sky leads back to the foreground - knife painting in acrylic.